An amber weather warning is currently in place as Falkirk endures the heavy rain that will proceed the arrival of Storm Ali. It is expected to bring a spell of extremely windy weather with gusts of 65-75 mph inland. 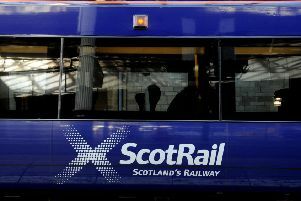 Anyone planning on travelling is asked to check before doing do as longer journey times and cancellations are likely as road, rail, air and ferry services could be affected. Before the storm hits, residents are advised to secure loose objects such as ladders, garden furniture or anything else that could be blown into windows. They should also close and securely fasten doors and windows, particularly those on the windward side of the house, and especially large doors such as those on garages. If possible, vehicles should be parked in a garage, otherwise keep them clear of buildings, trees, walls and fences. During the storm, people should stay indoors as much as possible and not drive unless the journey is really necessary. 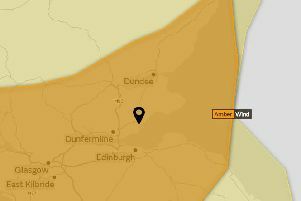 The amber warning is due to remain in place until 6pm when it will revert to a less serious yellow warning.